Mold symptoms near the Hamptons can be a serious health concern. Without professional mold remediation , entire families are at risk of developing asthma, allergies, and respiratory infections. These health issues should never be ignored. Read on to see the different ways that mold exposure can affect a person’s health. It can increase or cause asthma symptoms. Mold exposure has been found to cause asthmatic symptoms in those who did not previously have asthma, and it can increase symptoms in current asthma sufferers. Asthma symptoms include shortness of breath, wheezing, and coughing. If these symptoms persist, the sufferer may feel tightness, pain, and pressure in their chest. These symptoms may not occur all of the time, but they can increase from prolonged mold exposure. It can increase or cause allergy symptoms. Allergy symptoms are one of the more common side effects of mold exposure. These symptoms might include a runny nose, watery eyes, sneezing, and headaches. It is important to identify if these symptoms are seasonal—from increased pollens and dust particles in the air—or if they can be identified as mold symptoms. 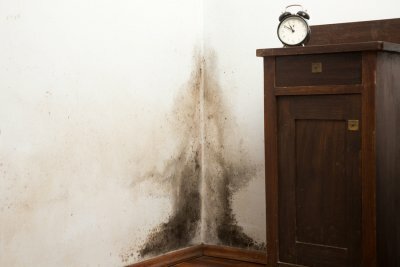 If symptoms occur most often in a specific room or indoors, then a mold remediation professional should inspect the house. It may increase risks of respiratory infections. If someone is already weakened or susceptible to respiratory issues, then he or she might be at risk of developing respiratory infections. These infections may be caused or worsened by mold spores in the lungs. If there is a chance of mold growth in the house, then it should be inspected immediately to prevent sickness in a person with a weakened respiratory system. “Sick building syndrome” is a term used by the Environmental Protection Agency to reference a health situation where building occupants experience the same symptoms after spending time in a building. The symptoms might include headache, skin irritations, difficulty concentrating, and nausea. These symptoms are usually indicative of an indoor air contaminant, which could be from a source of mold. Waterproofing in the Hamptons is an essential task all year long. By waterproofing your basement, along with regular inspections of your gutters and plumbing fixtures, you can reduce the chances of incurring water damage . If you perform regular inspections of your faucets, pipes, gutters, and outdoor water features, you can protect your home year-round from possible floods and water damage, which can both lead to signs of mold. For more tips to protect your home, read below. One of the leading causes of water damage are leaky pipes and plumbing fixtures. If you do not inspect your faucets, beneath your sinks, and other exposed pipes on a regular basis, then you risk missing water damage that has been there for weeks. When water sits in one location for an extended amount of time, there is a higher chance that you could find mold in your house. Always check your sinks, faucets, and other plumbing fixtures for signs of moisture or water damage. 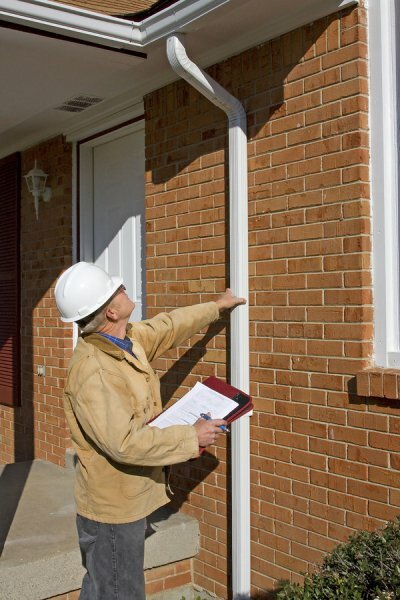 Your gutters should be cleaned out and inspected every couple of months to prevent potential buildup of water. When your gutters or downspouts are clogged, then water may back up and leak into your home or foundation. If water collects around your property long enough, then you may find extensive water damage throughout your home. If your gutters are not clogged, but still do not transport water correctly, then professional basement waterproofing services can address improperly installed gutters. In addition to inspecting your gutters and indoor plumbing fixtures, pay attention to your outdoor water features. During the winter, turn off and detach your gardening hoses and irrigation from the main pipelines. If these hoses fill with water and end up freezing, then you risk a burst pipe elsewhere in your plumbing. If you have a fountain or swimming pool, make sure these features are properly winterized as well. These winter waterproofing techniques will reduce the chances of water damage in your home. What Causes Pipes to Burst? Burst pipes can be incredibly frustrating to deal with, especially if they’re located inside your home. Not only do you have to worry about repairing or replacing burst pipes, but you also have to worry about cleaning up the resulting mess. If you have water damage due to a leaky or burst pipe, contact a professional who specializes in water damage restoration, mold removal and remediation, and waterproofing services near the Hamptons . There are several things that can cause your pipes to burst. For example, clogged drains or pipes can create a large amount of pressure to build up inside pipes, which can eventually be too much for them to handle. 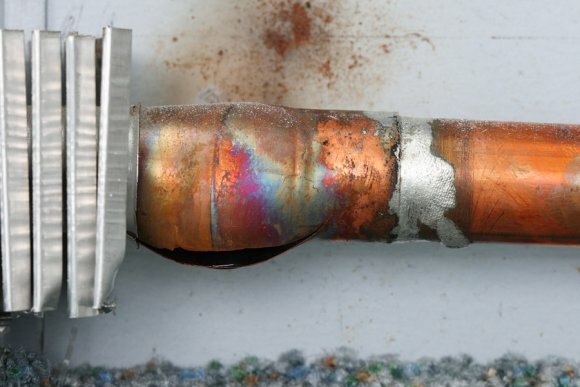 One of the most common causes of burst pipes during the winter is freezing temperatures. When the temperature dips below freezing, water that’s trapped in pipes that are not insulated or that have not been winterized begins to turn to ice. As water freezes, it expands and can cause a pipe to burst. To avoid issues such as basement floods or an increase of mold in your house, be sure to take care of burst pipes as soon as possible. This means contacting a water damage restoration company serving Long Island and the Hamptons quickly after discovering a burst pipe. Whether caused by a burst pipe, sewage back-up, or flooding from extreme weather, water damage in The Hamptons is a common issue experienced by homeowners and business owners throughout the year. Knowing how water damage can affect your health and safety is essential to making smart and efficient decisions about addressing water-related issues in the home. Read on to learn more about the various categories of water damage and how water damage restoration and mold remediation work. Water damage is categorized based on the level of contamination associated with the damage. Class 1 water damage is typically associated with clean water leaking from pipes, appliances, and sinks. Class 2 water damage results from greywater that seeps from toilets, sump pumps, and seepage of outdoor rainwater into un-waterproofed walls. Class 3 water damage is from water that is very clearly contaminated and contains sewage and bacteria. This type of water is often referred to as black water. Class 1 water damage does not pose an immediate threat, but can encourage mold growth and cause serious health and structural issues if left unaddressed. 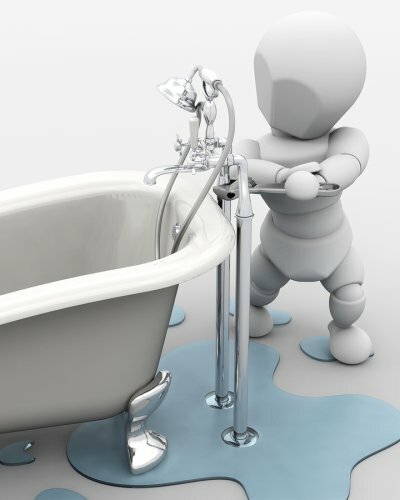 Water damage from greywater and black water, however, are immediately dangerous because of the high potential for disease and bacteria spread. This type of water damage is also the most difficult to clean because it tends to evaporate faster and leave behind contaminants quickly. Working with a water damage restoration service to address all three kinds of water damage is the best way to reduce risk of short and long-term structural and health issues. The process of water damage restoration involves two major steps. The first is thoroughly drying the affected areas using water removal and structural drying equipment. This prevents further water infiltration and water damage. Second, water damaged areas are treated using high-strength antimicrobial cleaners to eliminate any bacteria present. Once the restoration process is complete, addressing the cause of the water damage and the need for mold remediation can begin. During the winter season, freezing temperatures can put your plumbing system at risk of developing a burst pipe. Burst pipes are caused when water freezes in your plumbing system, causing a buildup of pressure. In the event that your home experiences a burst pipe this winter, you should be sure to schedule professional water removal in The Hamptons . A company offering mold remediation, basement waterproofing, and mold testing can help to restore your home and remove water after a pipe bursts in your plumbing system. With a few simple steps, such as installing insulation around your exposed pipes, you can help prevent your pipes from bursting and avoid water damage. To learn more about basement waterproofing and how to avoid a burst pipe this season, check out this video.